The Keitech Swing Impact is a proven Tournament winner. 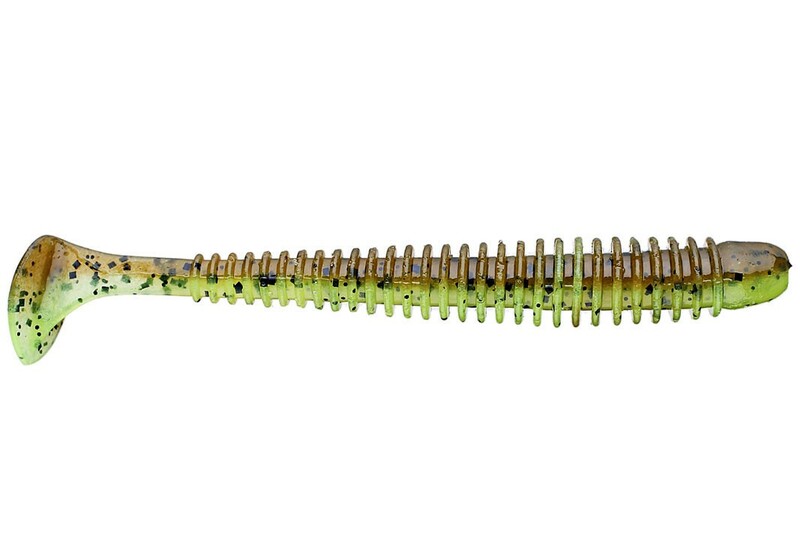 These versatile swimbaits come in three sizes to match any fishing conditions. Keitech's original two-tone color injection process uses different types of salted plastics to achieve better balance and action. The Swing Impact teamed with the Tungsten Super Round jig head and fished on the straight retrieve is our Pro-staff's 'go-to' bait. The Swing Impact arguably has the finest swimming action of any comparable swim bait in existence. 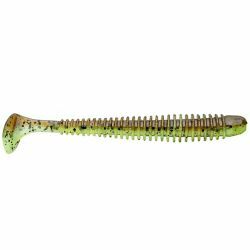 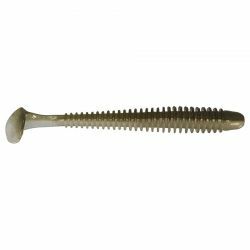 The Superior design incorporates a fish attracting wobble and a tight swimming action that drive predators wild. 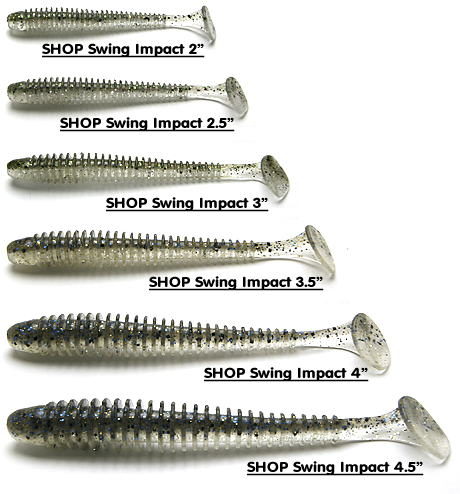 The Swing Impact is truly versatile and can be rigged and fished multiple ways. 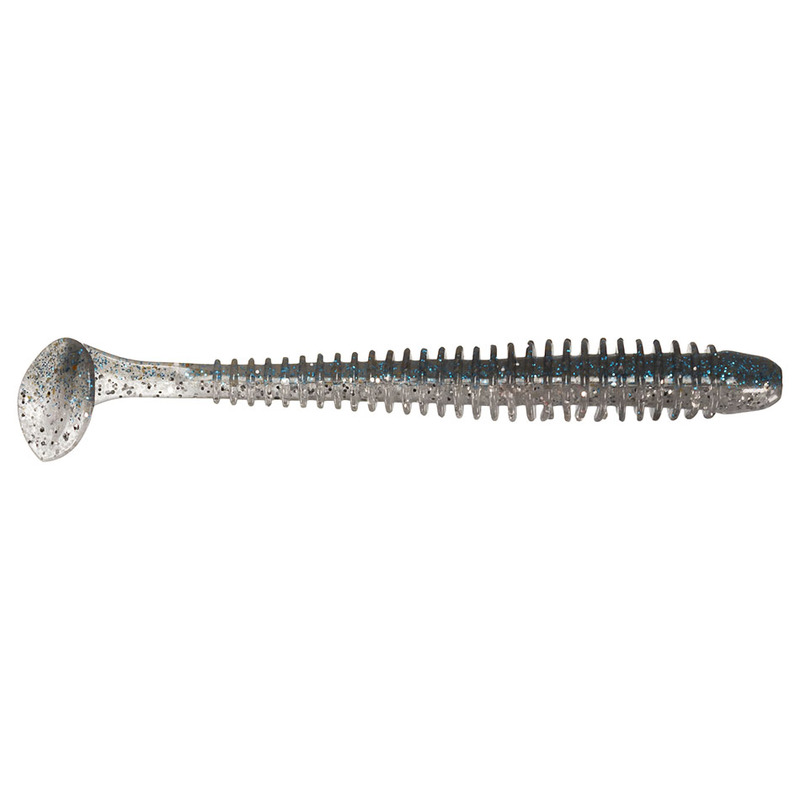 The Jig Head Rig is most popular. Fish it on the straight retrieve or drag it slowly on the bottom. Texas rigging, Dropshotting and the Alabama Rig fit the Swing Impact perfectly. 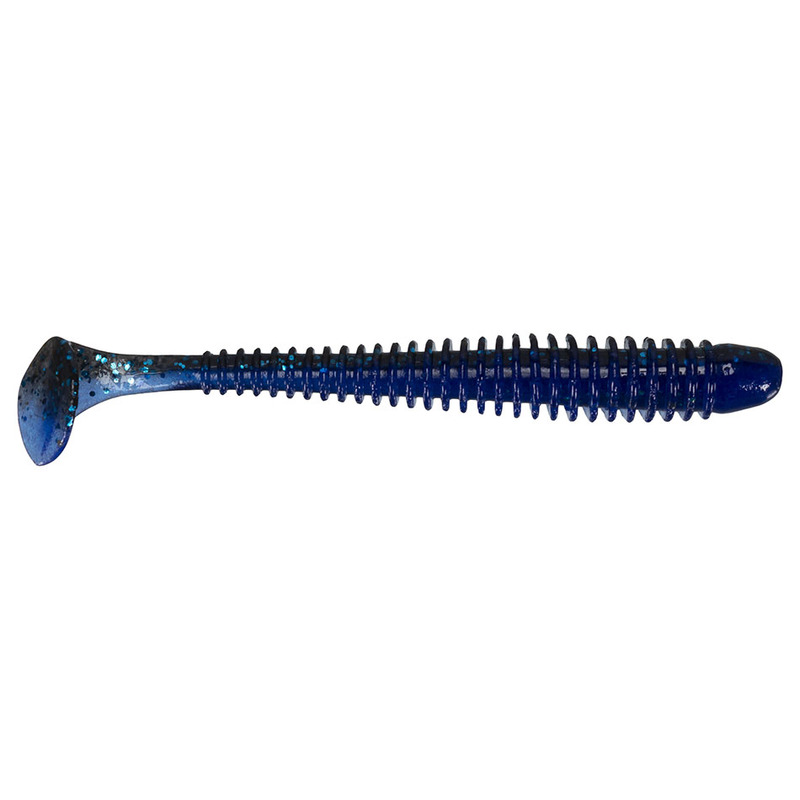 The Swing Impact’s tail is designed to swim at the slowest speeds. The Dual Injection Process creates outstanding color variations and a natural swimming motion. 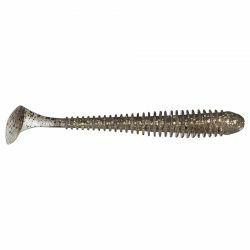 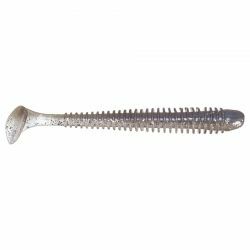 The ribbed body has a perfectly centered hook slit to ensure correct rigging. Jig Head Rig - The Swing Impact, teamed with the Tungsten Super Round jig head and fished on the straight retrieve is our Pro-staff’s go to bait. Fish it on the straight retrieve or drag it slowly on the bottom. The 3” should be rigged with the #2 Tungsten Super Round, the 3.5” with the #1 and the 4” with the 1/0.